This article is for quizzes on Tuesday February 9th..
Baywatch premiered on NBC in 1989, but was canceled after only one season when it placed 73rd out of 103 shows in the seasonal ratings and also because the studio, GTG, went out of business. 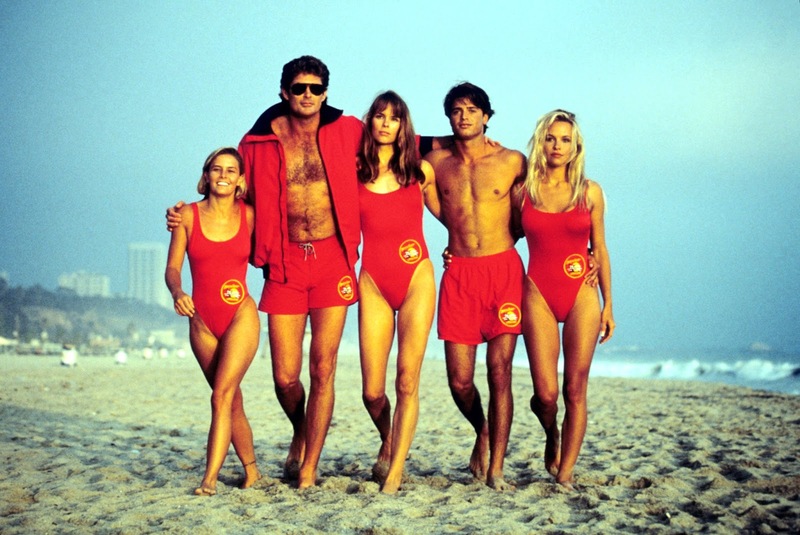 Feeling the series still had potential, Hasselhoff along with creators and executive producers Michael Berk, Douglas Schwartz and Greg Bonann revived it for the first-run syndication market in 1991. Hasselhoff was given the title of executive producer for his work on bringing the show back. The series was hugely successful, especially internationally. Around the same time, LWT step in to help financial the series. In 1999, with production costs rising in Los Angeles, and the syndication market shrinking, the plan was to move the show to Australia and launch Baywatch Down Under. A pilot was filmed but the series was stopped when residents of Avalon put forth strong objections, including potential damage to a fragile ecosystem. Pittwater Council permanently barred all future filming. This pilot finally aired as a two-part episode of Baywatch. As an alternative to Australia, Hawaii offered the producers large financial incentives to move the show to the islands instead, and in Season 10, Baywatch Hawaii was launched. Baywatch filmed for two seasons in Hawaii, from 1999 until 2001. The proposal to relocate Baywatch to Hawaii rather than Australia was initiated by April Masini in a telephone call to executive producer Greg Bonann. The deal to provide the incentives necessary to secure the series was presented to Governor Ben Cayetano by Al Masini and April Masini; Tony Vericella, president of the Hawaii Visitors and Convention Bureau; and Cayetano's executive assistant, Joe Blanco. The agreement required the production to change its name from Baywatch to Baywatch Hawaii, hire local leads, and film in the state for at least two years, guaranteeing 44 episodes, each at a cost of about $870,000, 60% of which was to be spent in Hawaii.